Debut Album "The Extraterrestrial Compendium" Out Now! 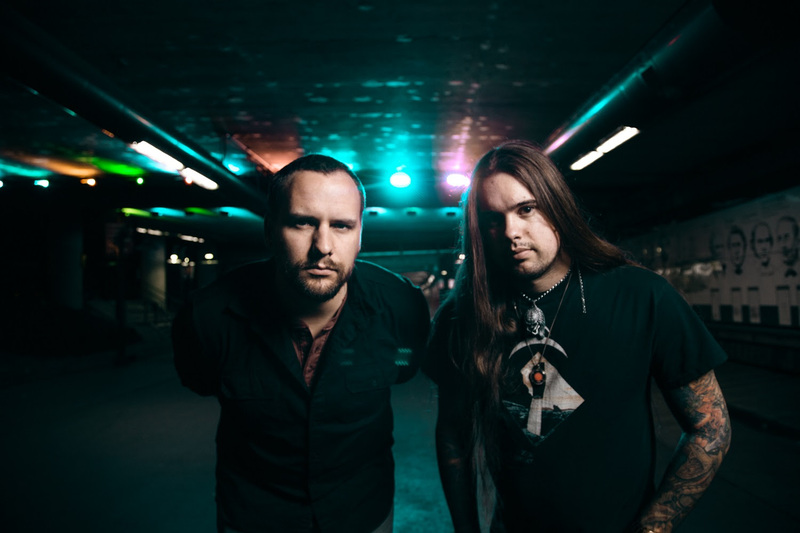 American sci-fi power metal duo DIRE PERIL featuring Jason Ashcraft (Helion Prime) and vocalist John Yelland (Judicator) have posted their new guitar playthrough for their track “Yautja (Hunter Culture)”. The song is off their recently released debut album The Extraterrestrial Compendium via Divebomb Records. It was the last track written for their sci-fi inspired album but was made the opener for the release. The song is a 7-minute thrasher taking you on an up close and personal hunt with the Predator species from the classic 80s movie along with it being based on The Predator’s expanded universe in other formats. 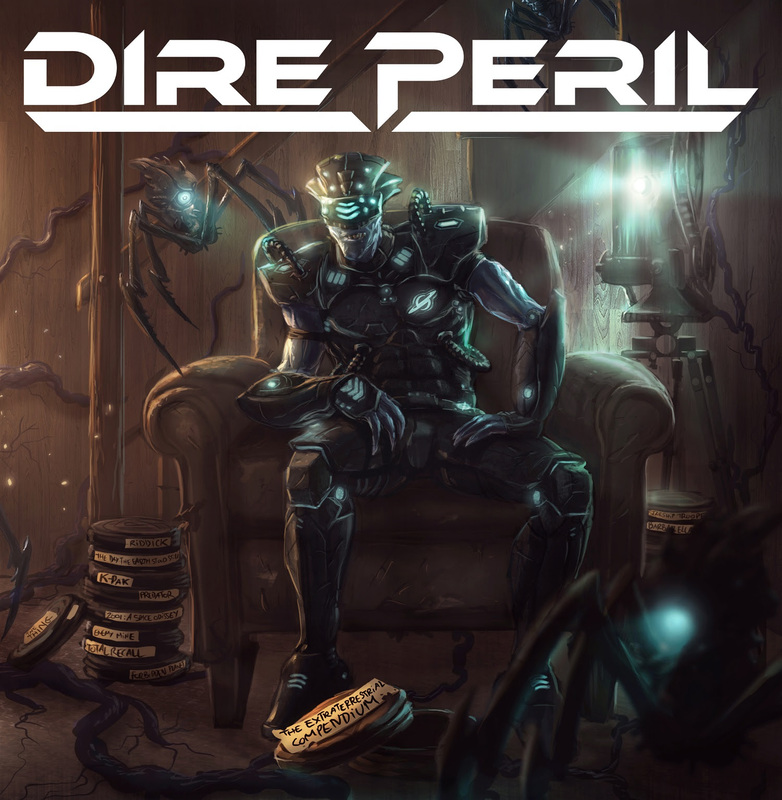 DIRE PERIL‘s debut full length The Extraterrestrial Compendium bases each one of its 12 songs on classic sci-fi movies including Predator, Total Recall, Starship Troopers, and E.T. and features guest performances by Brittney Slayes (Unleash The Archers) and the mighty Arjen Anthony Luccassen (Ayreon, Star One, The Gentle Storm). Inspired by all manner of science fiction, especially classic sci-fi movies, Dire Peril regrouped as a double piece; Ashcraft was joined by singer John Yelland, and together they began working on the debut album titled The Extraterrestrial Compendium, set for release on November 9, 2018. Recruiting a live line up enabled them to start playing live shows including an upcoming North American tour with Seven Kingdoms allowing the American sci-fi power metal band to reach its final form and share their dark, aggressive adventure with the masses.